Mausoleum entombment was once reserved for royalty. The pyramids were built to house the remains of pharaohs and their families. Kings and queens of England are buried within the structure of Westminster Abbey. Many American leaders and more than half of our presidents are entombed in mausoleums. Arlington National Cemetery's Tomb of the Unknown Soldier is a mausoleum. 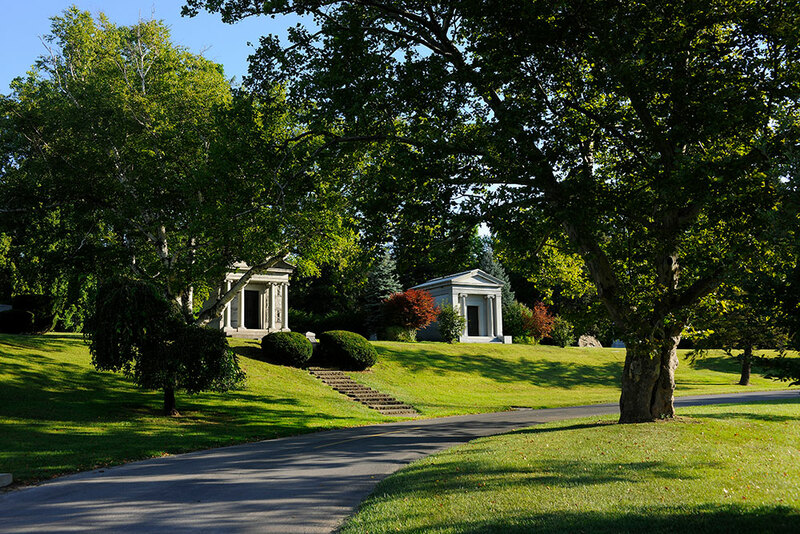 Part of Woodlawn Cemetery’s unique charm is the many family mausoleums that grace its grounds. These beautiful structures, built primarily in the late 19th and early 20th century, represent many of the families responsible for Toledo's growth and history. 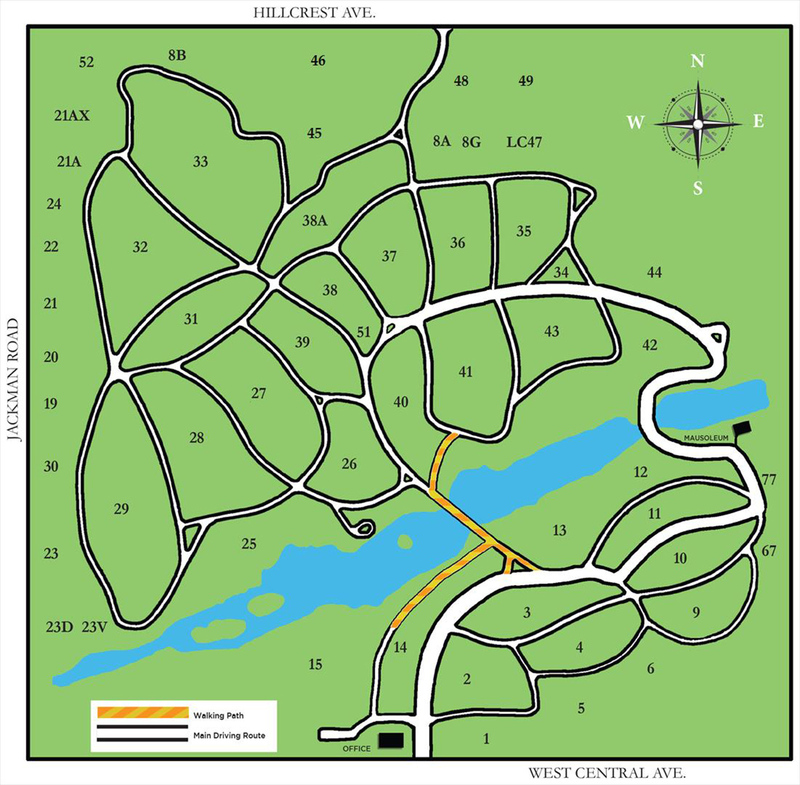 Situated on a picturesque knoll overlooking the east lake, Woodlawn’s Lakeside Mausoleum is now a reality. The strong, monolithic design of Woodlawn's first public mausoleum is unique in Northwest Ohio. Lakeside Mausoleum’s small size and the use of fluted columns, Italian marble and granite give the structure the look and feel of the family mausoleums that are spotted throughout the cemetery. Cost: Entombment in Woodlawn's first public mausoleum is remarkably affordable.It is typically comparable to or lower in price than conventional ground burial. Comfort: Lakeside Mausoleum offers a clean, dry place for visitors in every season. Availability: 176 casket crypts are now available for immediate use or on a pre-need basis. Imagine the pride of having your own private, family mausoleum situated in the same setting as the personal mausoleums of many of Toledo's prominent families of the 19th and 20th centuries. Your family mausoleum will be a unique work of architecture designed for the privacy of your family-- a perfect place to visit and quietly reflect upon the lives and achievements of your loved ones. For more information on the Mausoleums tradition at Woodlawn, call 419-472-2186 and ask to speak to a Family Advisor.